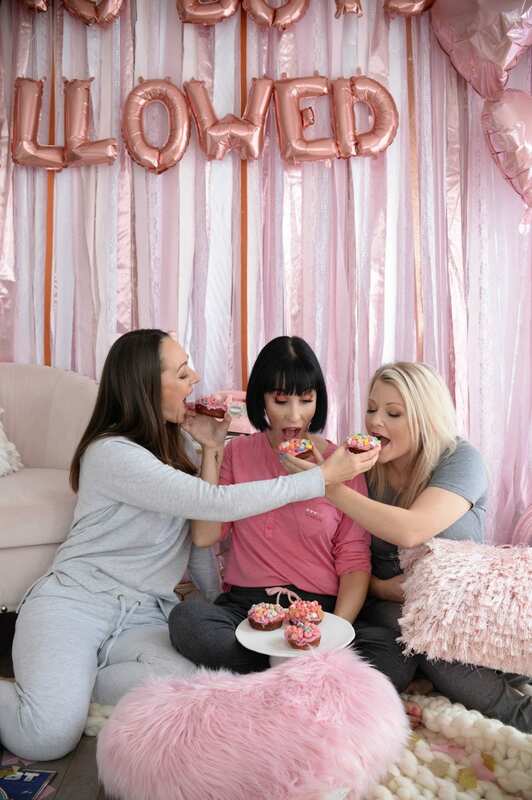 What’s more fun than celebrating a day dedicated to friendship than doing it in your pjs? 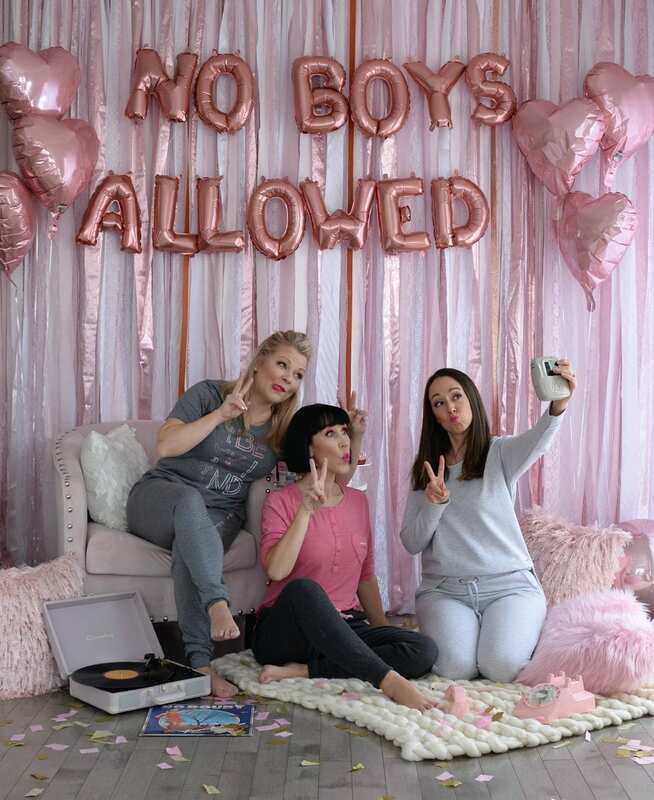 A Galentine’s Day pajama party doesn’t necessarily mean it has to turn into an overnight stay, instead, try hosting it during the day. An afternoon filled of excellent company, in a relaxing and comfy environment. 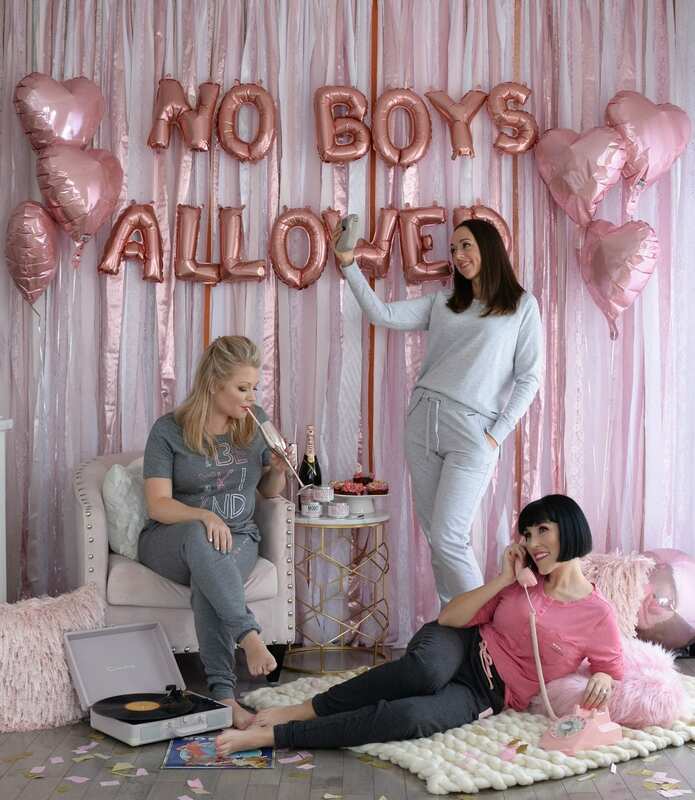 Grab a few of your closest girlfriends, for a grown-up version of one of your favourite childhood pastimes, a good old fashion slumber party. 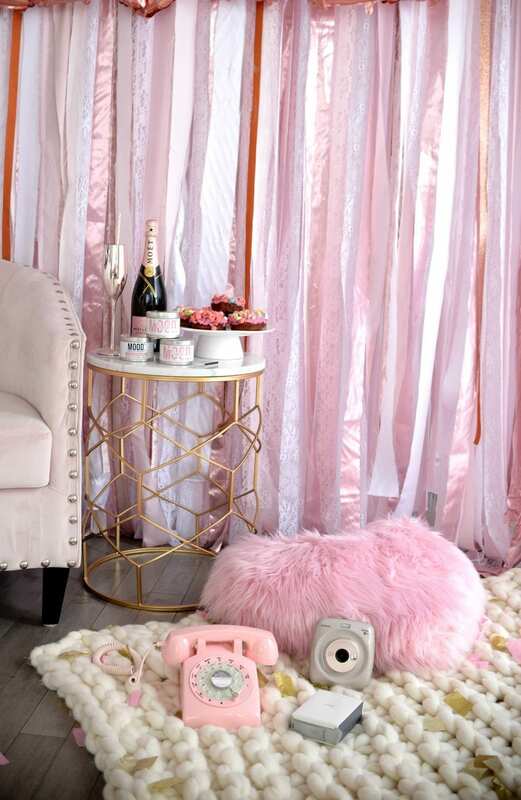 Sit back with a glass of bubbly, indulge in some delicious sweet treats, and maybe even play a round of “truth or dare”. 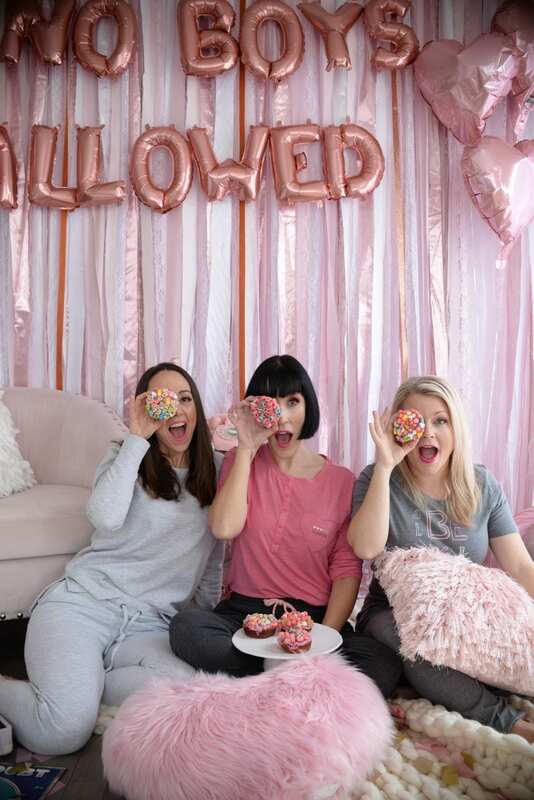 The first step in hosting a pajama party, is to ensure your guests are comfy. 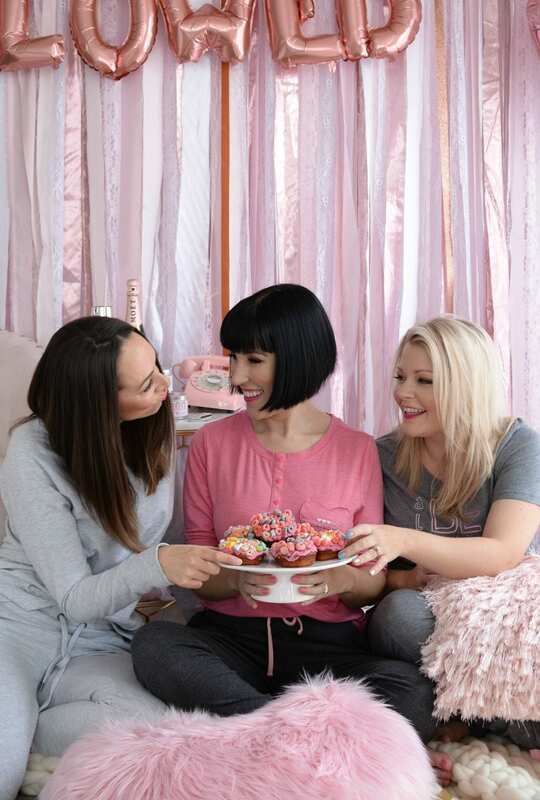 Either remind your friends to wear something snuggly or better yet, treat them to a new set of jammies. 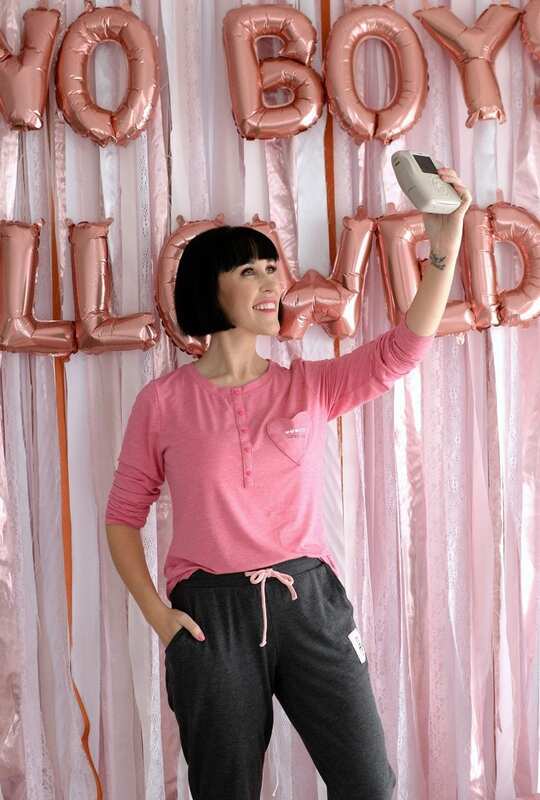 La Vie En Rose jammies are honestly some of the softest, and most affordable pjs I own. From the fun patterns, prints and colours, it makes finding that perfect style for your girlfriends a breeze. All three sets you see in this post are from the brand. 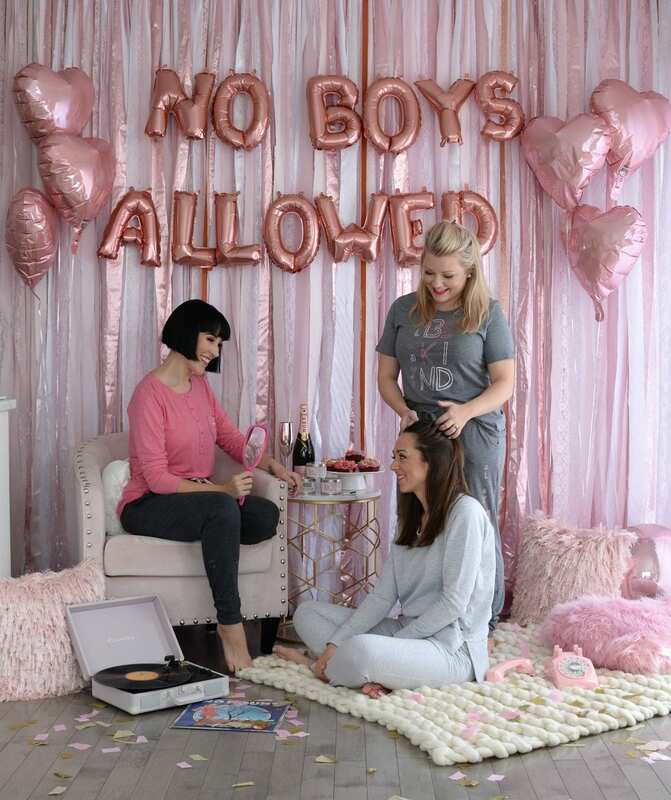 I built a theme around the colour grey, but then played on all our personalities for the cut and style. 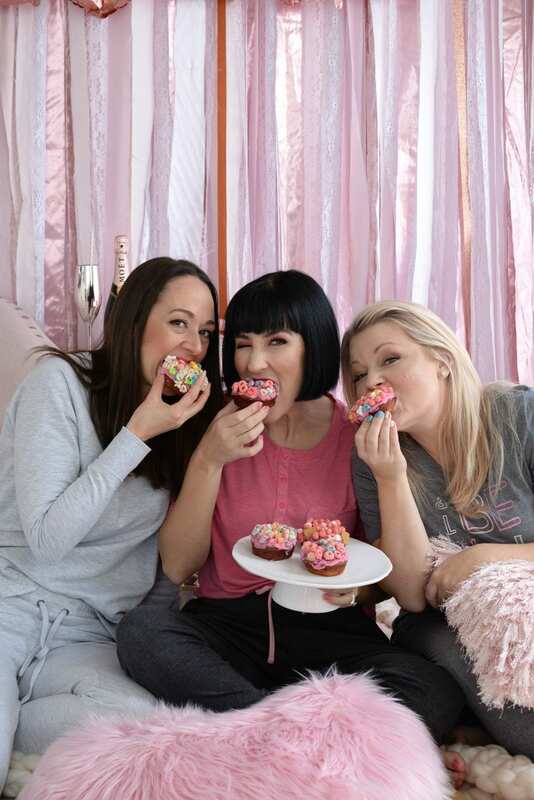 Obviously, since it’s a slumber party, there are no healthy food options. Instead, think of all the snacks you used to crave when you were little. The ones your parents only gave you on special occasions or as a reward. 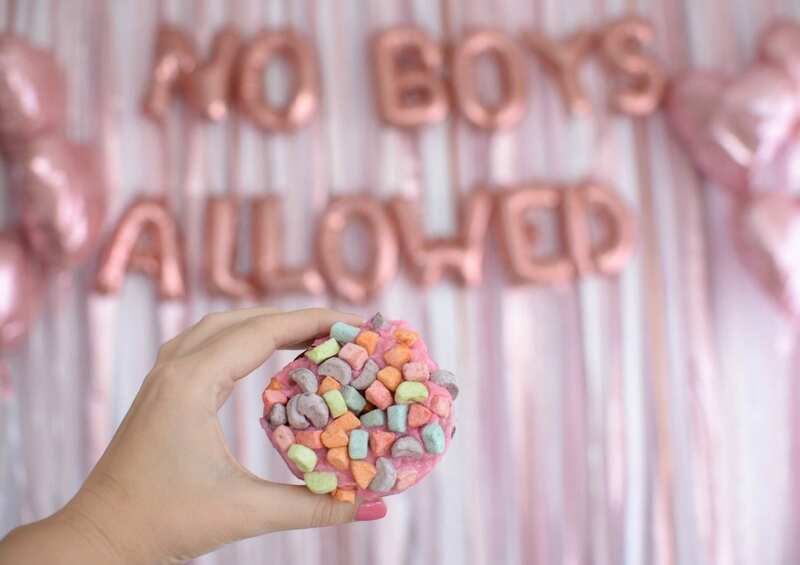 I instantly thought of donuts. I ordered up some donuts from Generations Bakery. 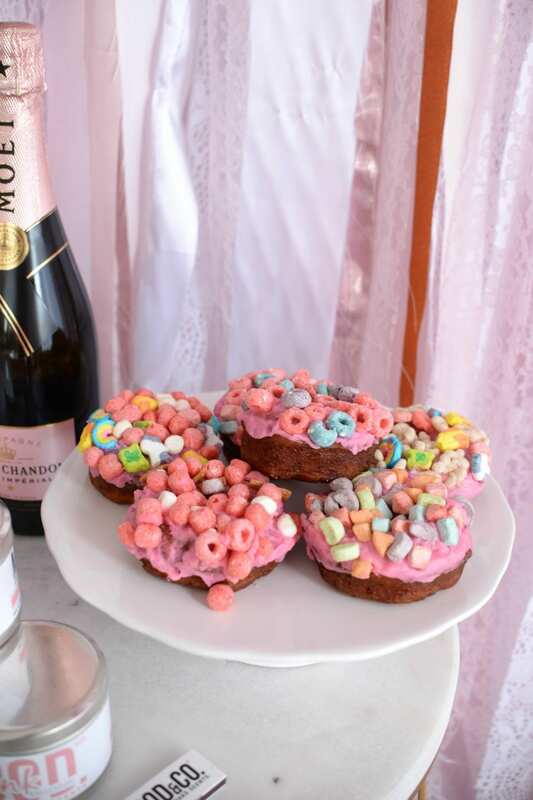 These cereal-inspired goodies paired beautifully with the bottle of bubbly I was also serving. Speaking of booze, this is where being an adult is actually beneficial. 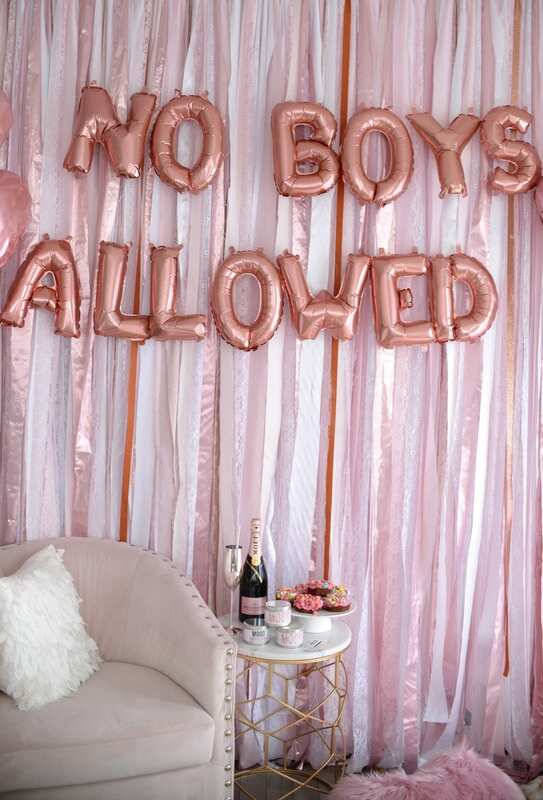 You can enjoy a glass of rosé without breaking the law. There’s something about popping a bottle of champagne that’s a celebration on its own. 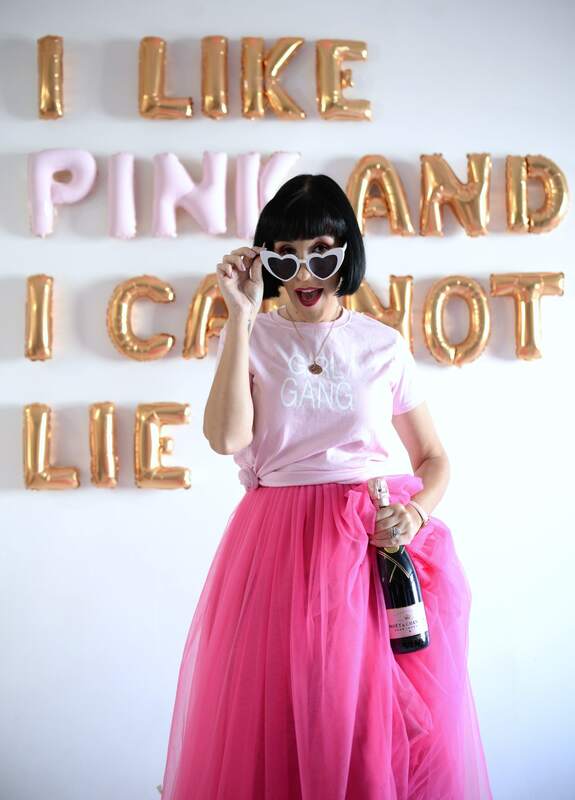 Love is sweet, and so is pink champagne. 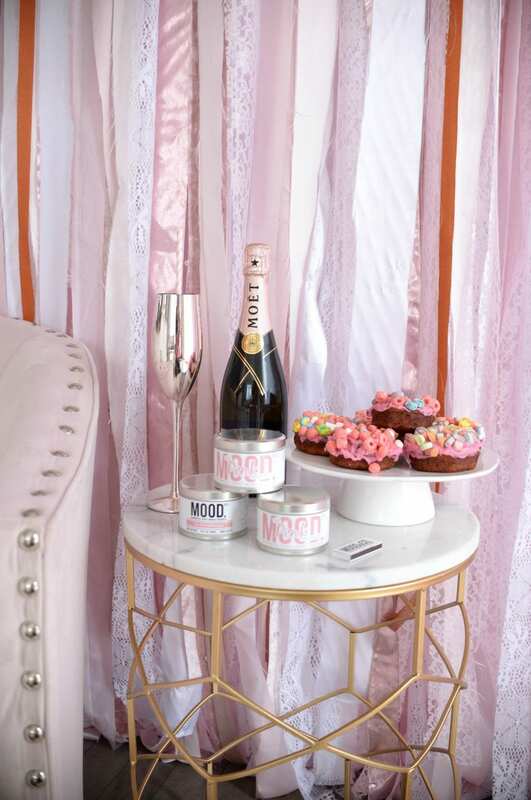 A fizzy and bubbly glass of Moët is the perfect alcoholic beverage to celebrate with. 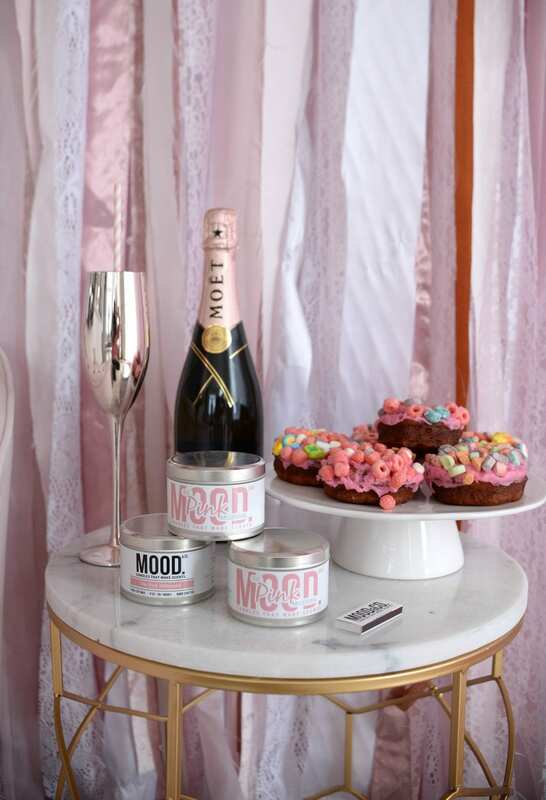 A bottle of rosé champagne pairs beautifully with sweet treats and almost acts as a dessert on its own. Capture those moments. Although I have a slight obsession with my dslr, there’s something incredibly satisfy and rewarding about seeing your photos instantly. The new Fujifilm Instax SQUARE SQ20 allows you to not only capture and share in real-time, you can shoot, rewind and print in the matter of seconds. This innovated hybrid instant camera can double expose an image, meaning you can combine two different images into a single frame, you can also design your own unique collage, taking four separate images and designing one beautiful square photo. It also allows you to shoot in video (for upwards of 15 seconds) and then select the frame you want to print. This camera is a fun way to capture your day, while providing mini takeaways for your guests. If you still prefer your DSLR camera, but want instant photos, try the Fujifilm Instax SHARE SP-2 Printer. This wireless printer connects to your smartphone to instantly print out photos. You can print photos from your Instagram or Facebook, and then have fun editing, applying filters and templates for that perfect, unique photo. You’re never too old for a good old-fashion game of Truth or Dare. Not only will you hear about some amazing stories, you’ll learn just how far your friends will go to win. 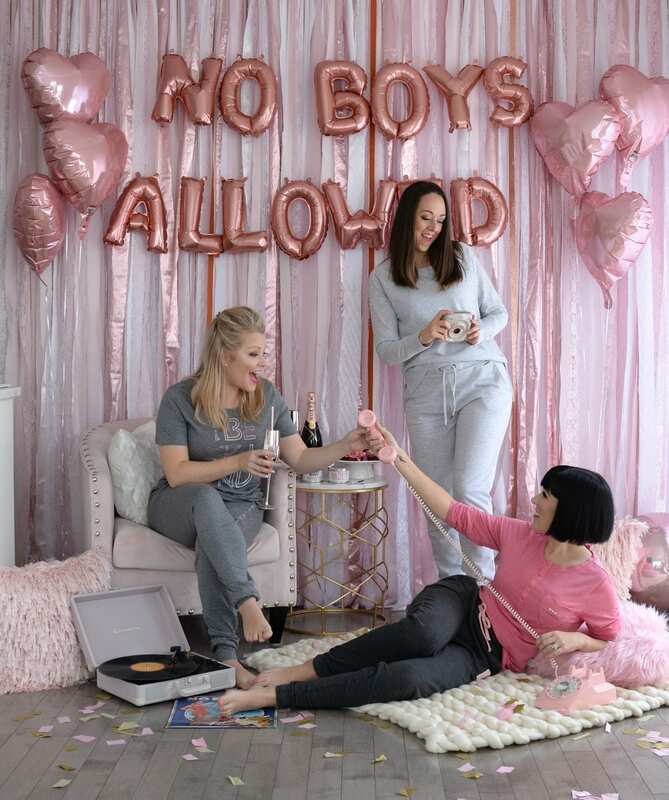 There’s something about getting together with your fave girls, in comfy clothes and a bottle of champagne that will bring out the silly in everyone. 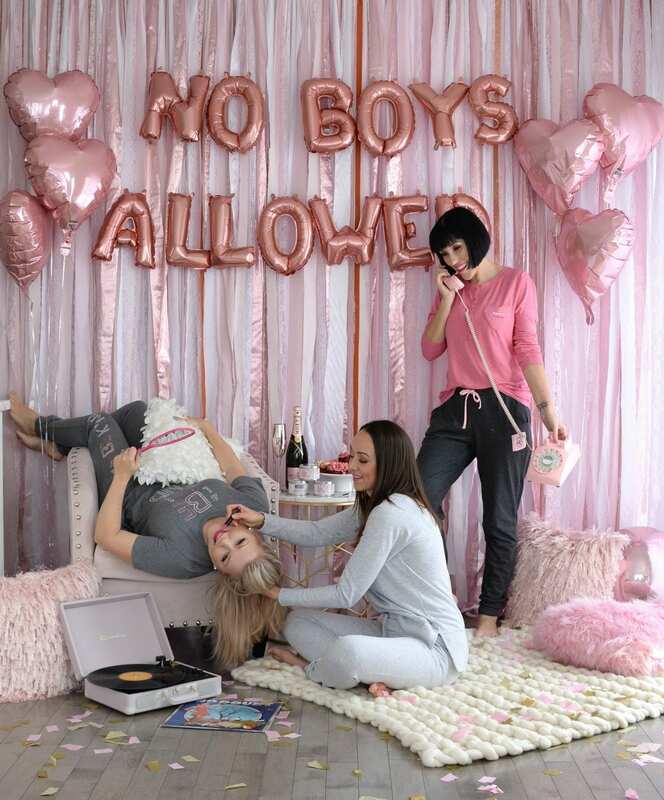 As you can see, you’re never too old to have a slumber party. 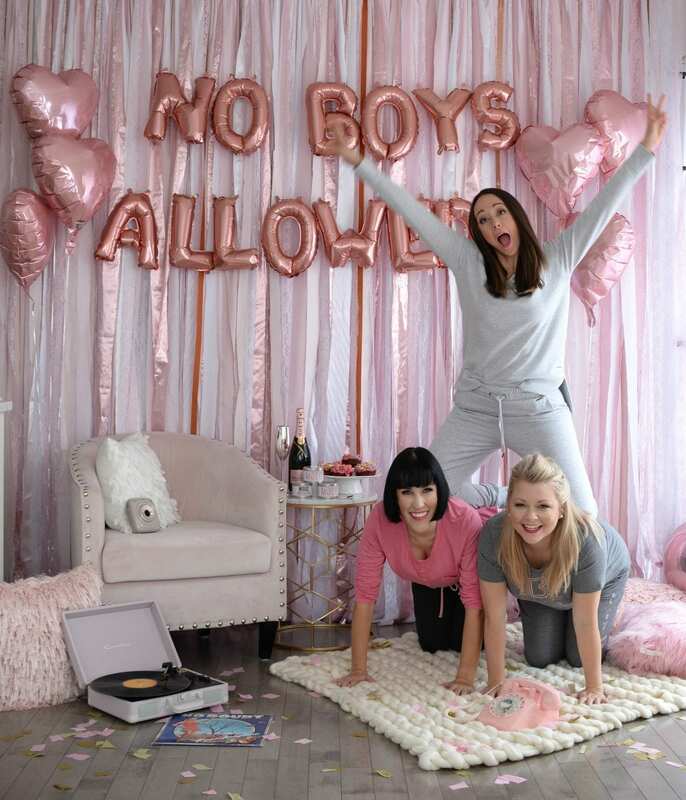 Sure, you might not be having pillow fights or spending the night, but there’s something incredibly special about staying in with your best girls and acting silly. Be sure to laugh, act crazy, and create some memorable moments that will last a lifetime.